Can You Take a Pregnancy Test at Night? Can You Get Pregnant Right After Period? How Long Does Chemical Pregnancy Bleeding Last? Is Bloating a Sign of Pregnancy? Is Constipation a Sign of Pregnancy? Is Diarrhea a Sign of Pregnancy? Is It Safe to Drink Coffee While Pregnant? Does a toothpaste pregnancy test work? How is it made? Is it accurate? Without spending much, you can make a homemade pregnancy test kit using your normal toothpaste. Here’s all you need to know about it. Without buying a pregnancy testing kit, you can determine whether you are pregnant without leaving your house thanks to a do-it-yourself pregnancy test using toothpaste such as Colgate, etc. It is a cheap and easy DIY method. All you need to do is combine a small amount of your urine with toothpaste in a petri dish. The paste will change color if you are actually pregnant. The paste should remain unchanged if the test results are negative. As much as the method sounds far-fetched, the rise in popularity of this method shows that there are many people trying it. You can try this method of testing if you do not want to try the conventional methods. Below, we will look at the toothpaste home pregnancy testing method: whether it works, how to make it at home, its accuracy rates, how to tell whether the results are positive or negative, with sample pictures of such results. How long to wait to get results? The method is cheap and easy to carry out. It is also easy to interpret the test results. You will need to place some toothpaste in a dish and then combine it with your urine. 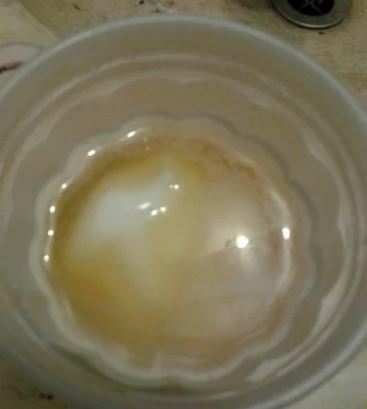 The emergence of a froth or color change means that you are expectant. Many medical experts, such as Stuart Gale—a pharmacist, are however still unsure about its accuracy and are recommending that you do not take it seriously. Does a toothpaste pregnancy test work? Experts are still doubting the credibility of this method of testing for pregnancy. They claim that the tests are fun but only helps in testing the acidity of your urine. The tests therefore do not provide negative or positive results as is the case with the conventional methods of testing. The fizz occurs when there is a reaction between the calcium carbonate in the paste and the acid that is present in urine. The resulting reaction produces carbon dioxide. An acidic urine sample will thus produce more fuzz than urine that is less acidic. It therefore will not matter whether you are expectant or not. It is not the best or most accurate way to determine whether you are expectant, but it can provide an easy solution before you go for actual medical tests. You can perform the test in the presence of another expectant woman like a friend or relative to check whether there will be a variation in your results. It will be essential to also remember that medical tests obtained from pharmacies are not always a hundred percent accurate. The correct way to establish your pregnancy status is by going for a blood test at the local health center. Some early signs of pregnancy can point towards a pregnancy, such as sore breasts, diarrhea and bloating. However, even those are not always accurate symptoms of a pregnancy. Toothpaste is an ideal home remedy for performing this test as the ingredient is available in all homesteads. You must however ensure that only plain white toothpaste is used for testing. Gel toothpaste and the kind that contain baking soda are not recommended for this exercise. You should also not use colored paste as it will have an influence on the results recorded during the test. Ensure that the ingredients are not exposed to soaps or chemicals. The container being used to collect urine needs to be very clean. Collect all the ingredients that you will need: this should include two clean cups, timer, stirring stick, white toothpaste, and a medicine dropper. You will need to take the urine sample early in the morning after waking up. Urine collected at this morning tends to have high levels of the HCG hormone. The hormone will be present in your body when pregnant. 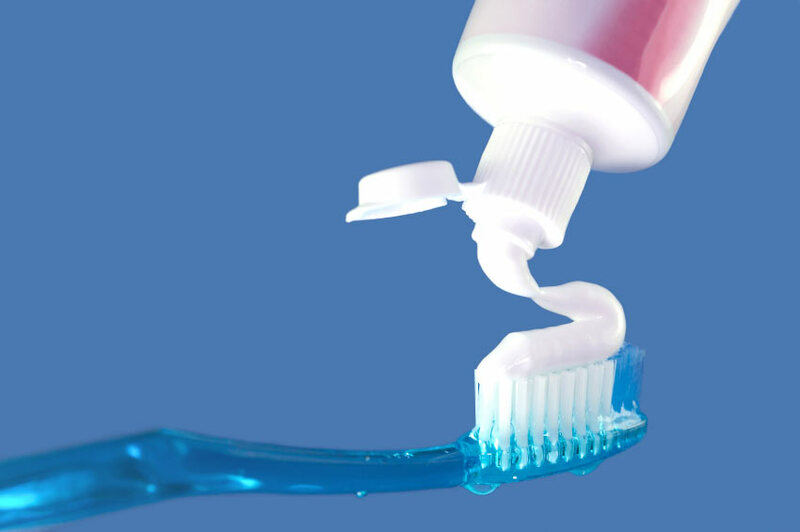 Place a small amount of the white toothpaste in the other empty container. Use a medicine dropper to place some urine drops to the paste. The amounts should almost be equal. Carefully pour the urine into the paste if you do not have a medicine dropper. Use the clean stirring stick to mix the paste and urine samples. Take the timer and set it for three minutes. Wait for this time to elapse. Take a look at your container after three minutes. Take note of any changes that could be present. This will include frothing and color changes. Ensure you follow up with your physician to confirm what you have obtained in your test. It is the only sure way to confirm the results that have been obtained in the toothpaste test for pregnancy. It is important not to wait for too long before you can read your test results. The best duration to wait should be between three and five minutes. Waiting for longer than this means that the urine could combine with the plain tooth paste. This will make it difficult to establish your pregnancy status. The following pictures provide an example of both positive and negative results. As mentioned earlier, you need to wait for at least three minutes before you can take a look at the results. Positive pregnancy test results will normally be indicated by the presence of a bluish or blue color in your toothpaste. It is the reason why plain white paste is recommended for use in testing for pregnancy at home. Picture 2 – No change, negative result. What does a negative toothpaste pregnancy test look like? Waiting for more than five minutes before checking the urine sample could lead to the results being invalidated. This could cause a negative result to be obtained. You are also likely to notice a negative effect if you are not actually pregnant. The negative result will be recorded when no change has occurred in the color of your testing paste. You also need to check for frothing as well. Its absence is also an indication that the test is negative. Wait for 3 to 5 minutes. Do not wait for more than five minutes. You should therefore wait for this time to elapse in your timer before leaving the bathroom. It will be the best way to make certain that the results will not become invalid. The homemade pregnancy test is quick, inexpensive, and very easy to conduct. It is a great way for you to establish whether you conceived without having to visit a clinic. It also does not require any special skills for one to perform it. The fact that it does not take more than a few minutes makes it even more appealing if you are unsure about your pregnancy status. It is recommended that you only try this homemade pregnancy test when your period is late or has not come at all. It will help reduce the chances of recording a false negative. Pregnancy hormones collect over time, so be patient. You could still be pregnant even if the result is negative. This is why you need to wait until you are sure that you have missed your periods. You should use disposable cups or plastic cups when collecting the urine. Using such containers assists in ensuring that the results of your test will not be contaminated by the presence of unwanted chemicals or soaps. The cleaning process will also become simplified. Glass containers are preferred as they do not absorb the urine. You can therefore clean and re-use them later. What is the difference in negative vs. positive results? Here’s a quick summary to help you determine yours with ease. A test that is positive will lead to the toothpaste turning blue in color. Negative tests on the other hand will not cause any changes to your ingredients. Formation of foam or froth in your homemade testing kit. No foam, bubbles or froth forms in the home kit. You should obtain a quality brand of paste to increase your chances of getting accurate results. The mixture will also need to be balanced. Combine two teaspoons of urine with a single lump of toothpaste. The mixture should provide you with results that are more accurate. The test will only provide accurate results if you follow all the instructions that have been provided. Remember to use the first-morning urine. It is the one that contains high concentrations of the HCG hormone required to determine your pregnancy status. Medical Disclaimer: This website is intended for informational purposes only. We do not diagnose, treat or prescribe. See your physician or ObGyn for proper diagnosis and treatment of your ailments.